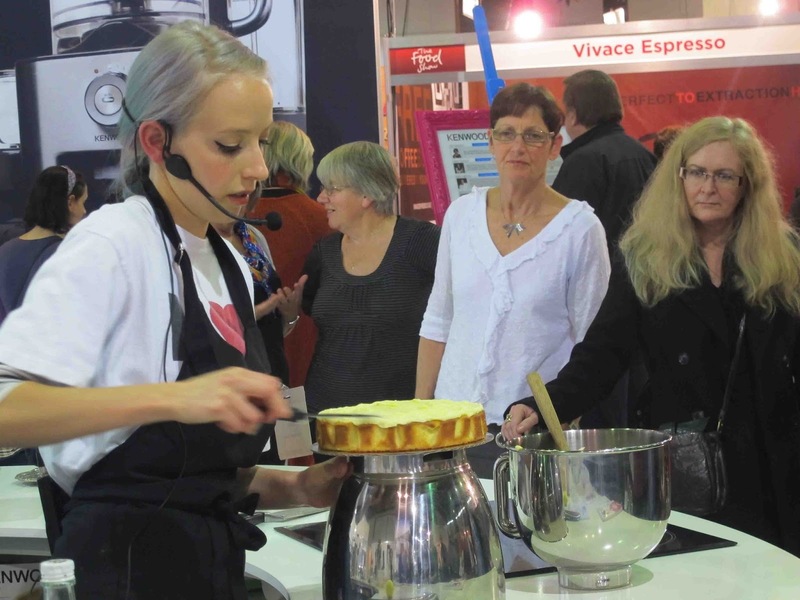 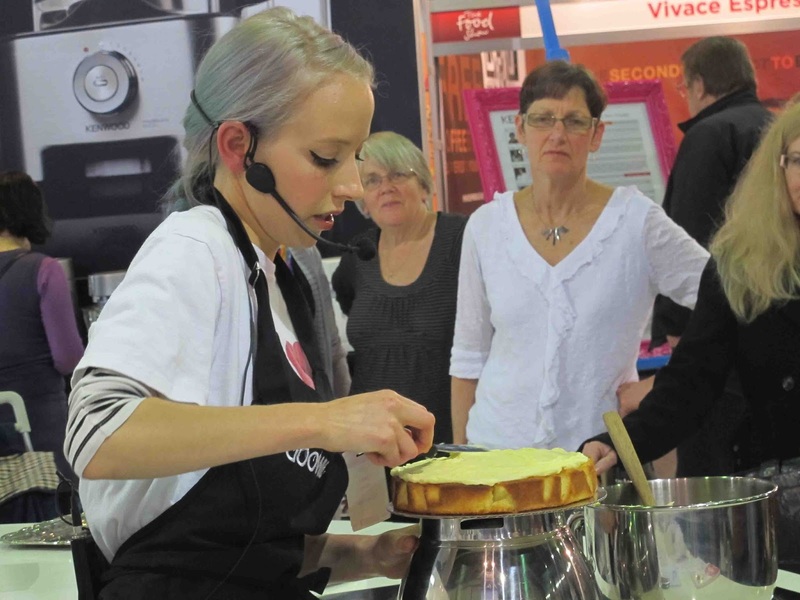 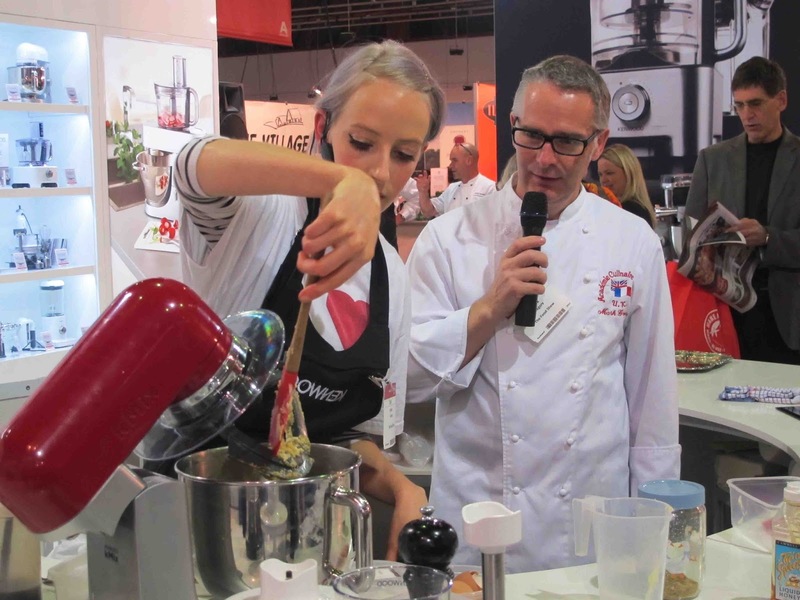 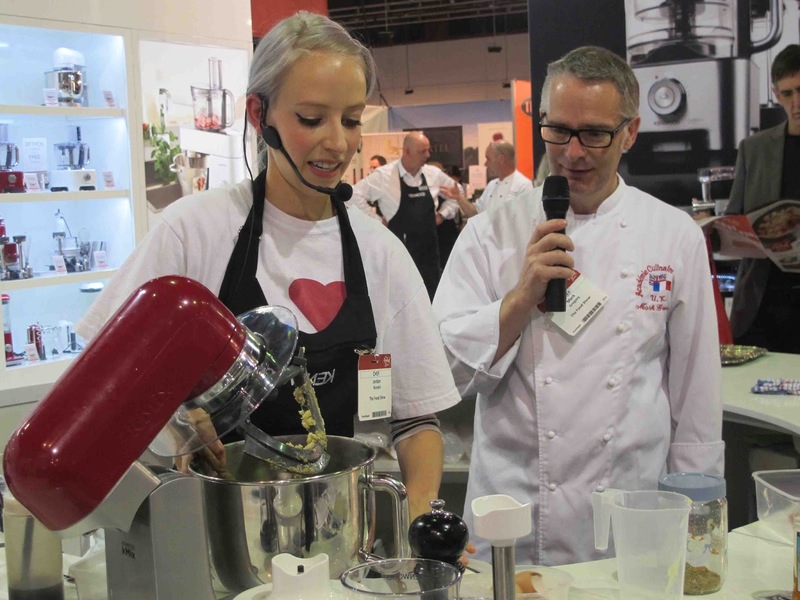 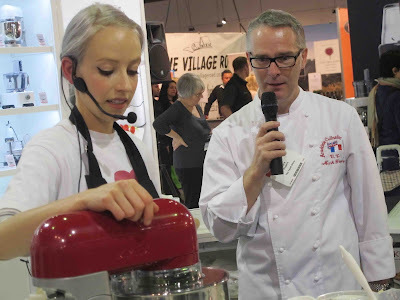 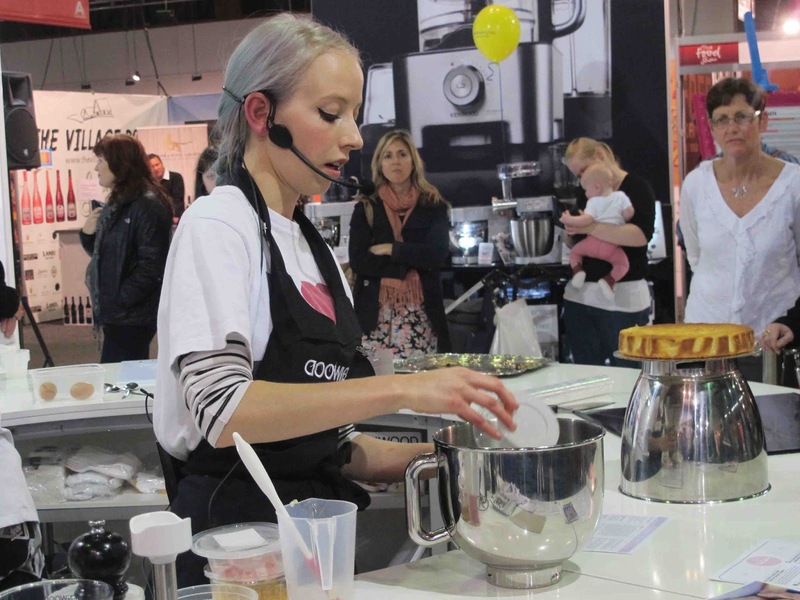 It was such a treat to watch Jordan Rondel aka The Caker demonstrating in the Kenwood Kitchen at the Auckland Food Show. 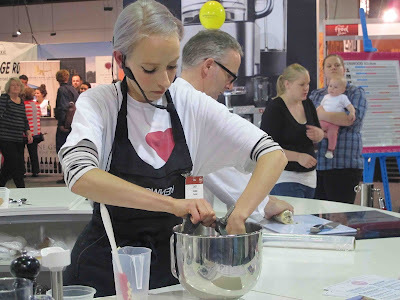 I was spellbound with her highly original approach to baking. 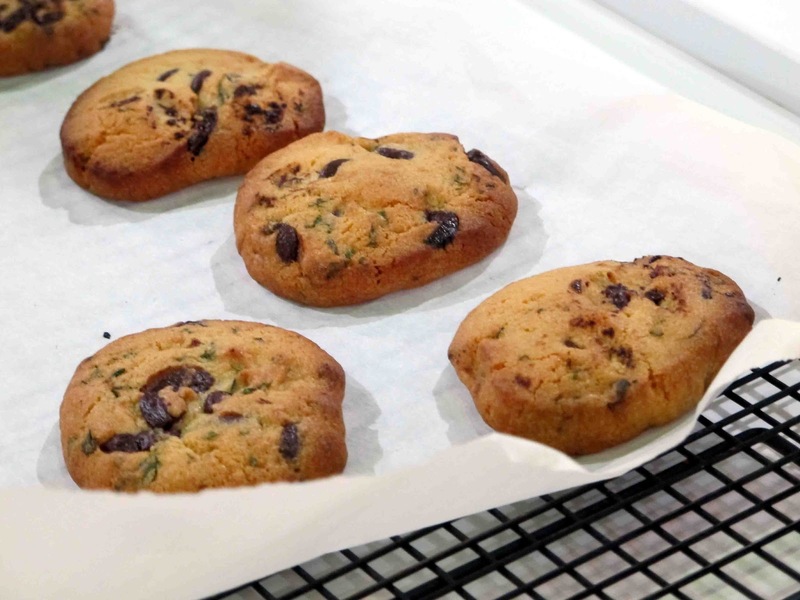 Who would have ever thought of adding fresh mint to chocolate chip cookies? 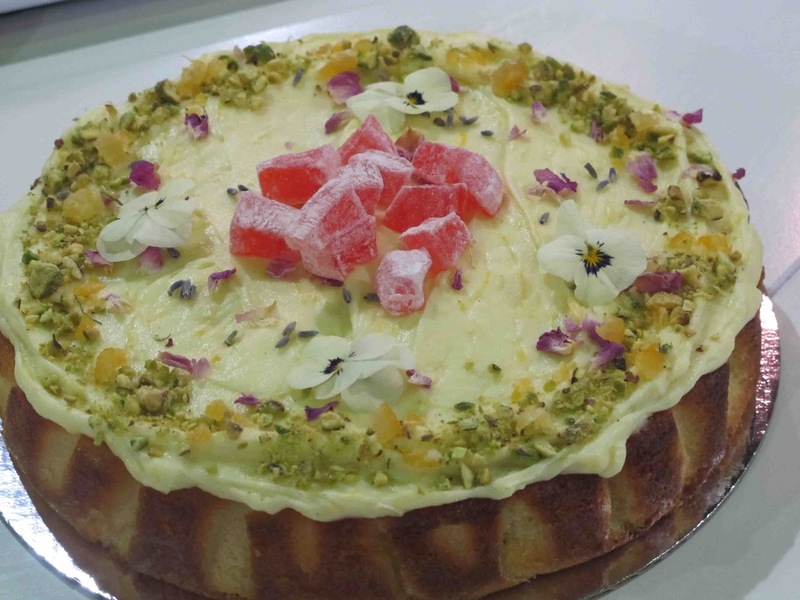 The quick pic I took of her cake doesn't do it justice, it looked beautiful sprinkled with wild rose petals, Turkish delight, freeze dried berries and candied citrus. 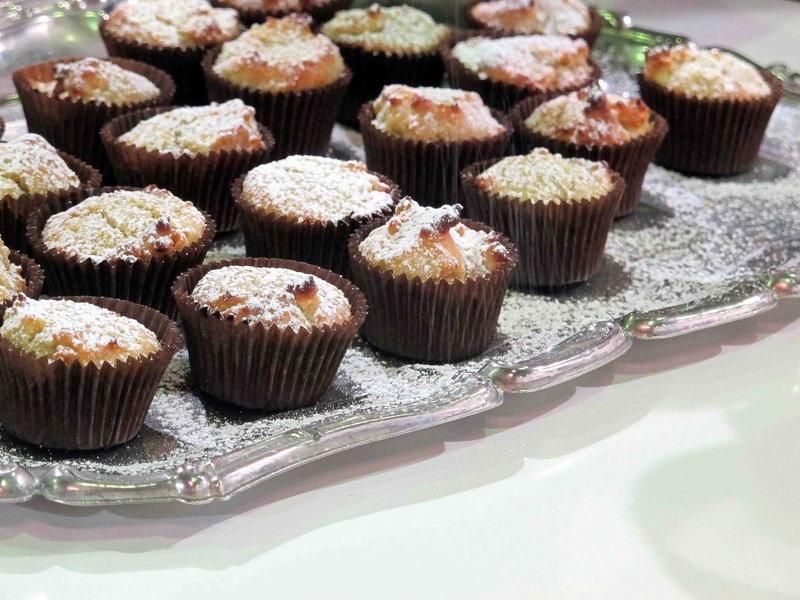 Her chamomile and honey muffins were gluten free light little treats, not too much butter and sweetened with honey. 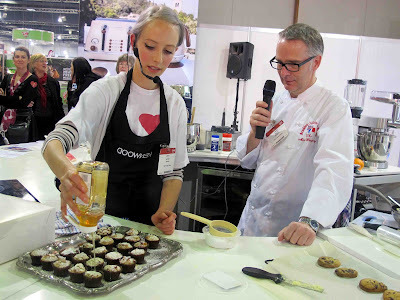 We were all allowed to sample each item and the recipes were handed out as well so I'll be able to try them at home.